Church Tour 2019 | Architecture of Faith – S.P.P.F. Tickets are $30 per person in advance; $35 at the door; children under 12 are free. 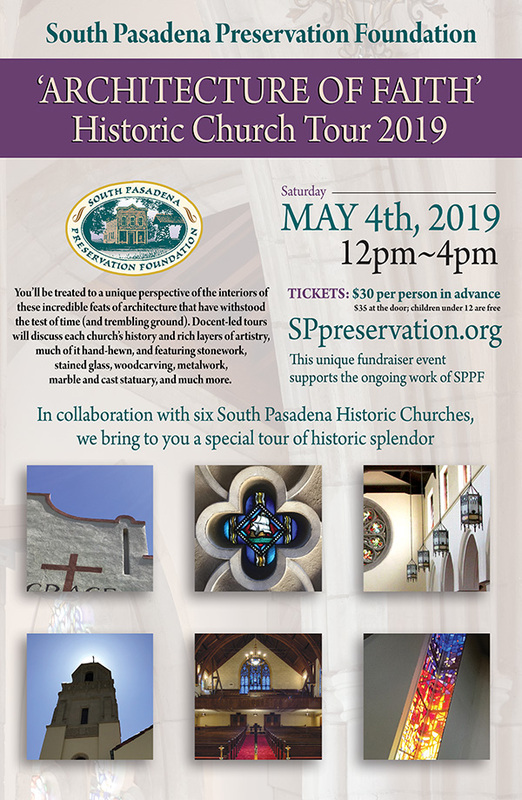 The South Pasadena Preservation Foundation is an all-volunteer organization that proudly continues its mission of fostering awareness and appreciation of the historic heritage of South Pasadena, and advocating and facilitating the preservation of significant examples of that heritage. It also oversees the South Pasadena Historical Museum.